Cooking Hacks is happy to present the Connected Greenhouse project, developed by myFood, an open source solution that uses a permaculture and aquaponic greenhouse. This gardening system allows to optimize food growing in four simple steps, and reduce maintenance tasks by automating the process. One of these steps consists of a vertical aquaponic tower. In an aquaponic system the fish waste is used by plants as nutrients, the plants filter the water and then it is recirculated to the fish tank. 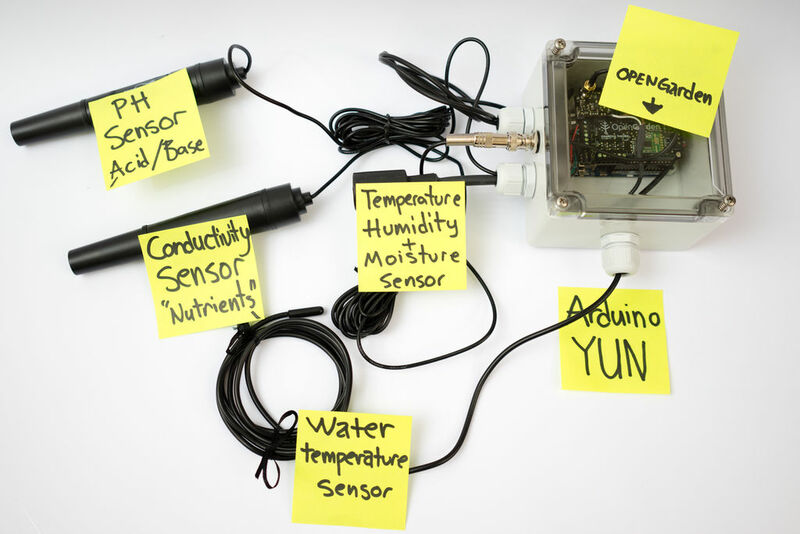 To automate and monitor the aquaponics garden they made use of our Open Garden Hydroponics and an Arduino Yun. This kit includes the Shield for Arduino with the Hydroponics Extension, and a set of sensors: an embedded LDR that allows to detect light, a DHT22 to measure temperature and humidity, a pH sensor and a Conductivity sensor. The Open Garden platform includes two more different kits for specific growing plant scenarios: indoor (houses and greenhouses) and outdoor (gardens and fields), and allows to control and sense several parameters: soil moisture, temperature, humidity, light, pH, Conductivity and water temperature. There are also several actuators available, like water pump and droppers or sprinklers. Permaculture: it simulates a forest environment to avoid wasting water. Aquaponics: creates a synergy between plants and fish. 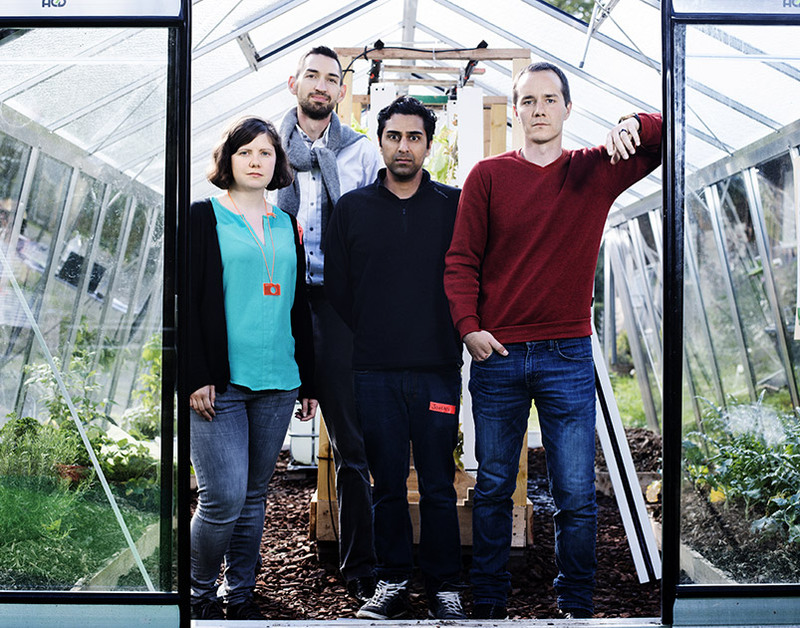 Greenhouse: it allows to grow food and feed your family during the whole year. Automation: it minimizes the time required to take care of the plants and makes it possible to monitor the complete system from your smartphone. Check Cooking Hacks solutions for Agriculture and Garden.